Pigs graze in forests on Mahaffey Farms in Princeton, Louisiana. Then, we return to an urban farm in our own backyard. Three years ago, in the shadow of US 90 and the Crescent City Connection, Jordan Bantuelle and his partner, Ian Willson started Southbound Gardens on a keyhole lot almost invisible from the street. We take a tour of their urban farm and its unexpected bounty. 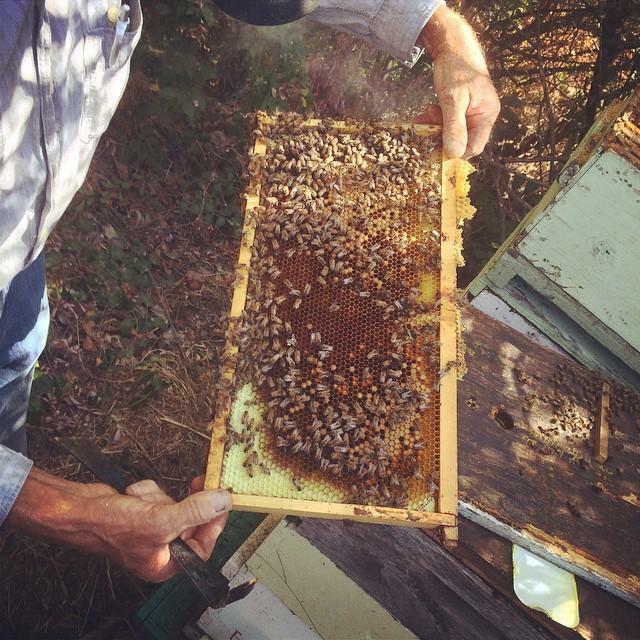 Spencer Marshall shows how he harvests honey from hives on his farm in Napa Valley. Next, to Grand Isle where we meet the Guerreros family of Caminada Bay Premium Oyster Company. Owner Marcos Guerrero and his son Boris welcome us aboard their compact bay boat for a morning out on the water to learn the process of oyster farming Louisiana-style. Finally, we head to California to tour both Marshall’s Honey Farm in Napa Valley and Gourmet Mushrooms in Sonoma County.